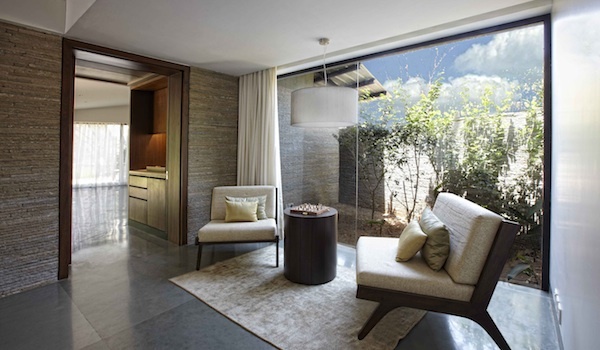 Given that India is a dynamic and constantly evolving country, its luxury hotel scene can always be relied upon to deliver a constant stream of exciting new properties. 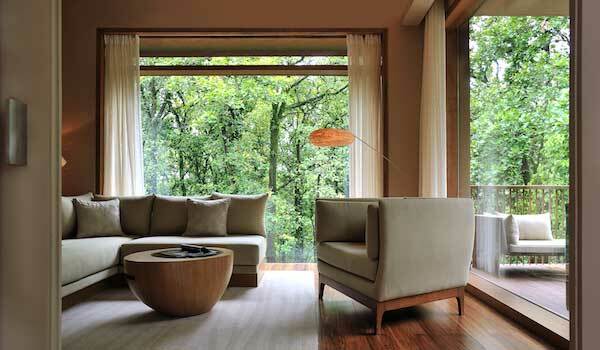 2013 saw a number of new hotel openings in India, from wellness-oriented retreats to luxury camps, with a batch of venues also expected to open in early 2014. If you’re about to book a holiday to India, try one of these new hotels for an indulgent and unforgettable stay. Welcoming guests from January 2014, the Vana, Malsi Estate is tucked away in Dehradun, located in the foothills of the Himalayas. In addition to its Ayurveda treatments, the hotel is a destination for its yoga classes, Tibetan healing, aqua therapies, and a number of other spa treatments. 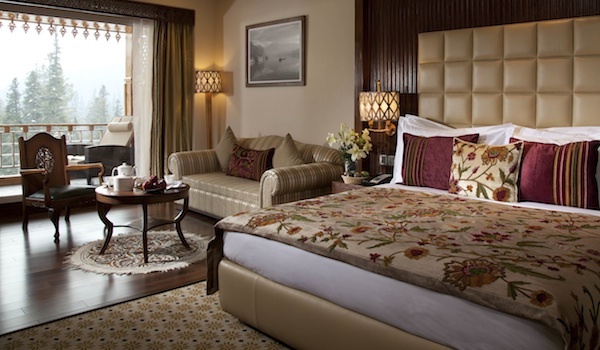 Guests can stay in one of 90 luxurious rooms, and dine in the two on-site restaurants. 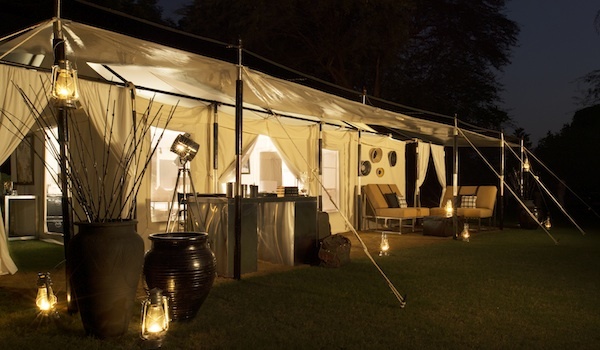 From SUJAN Luxury, the hospitality group behind the lavish Serai desert camp in Jaisalmer, comes the new JAWAI Leopard Camp. Wild leopards do indeed roam the remote terrain in western Rajasthan where the camp is located, and visitors can go on custom safari tours for a chance at spotting the big cats. 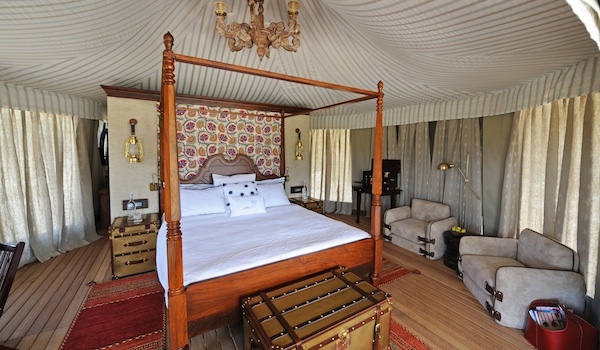 The luxurious camp, which is set to be one of the best new hotel openings in India for 2014, offers high-end tents with private decks, while guests can treat themselves in the on-site spa and dining tents. 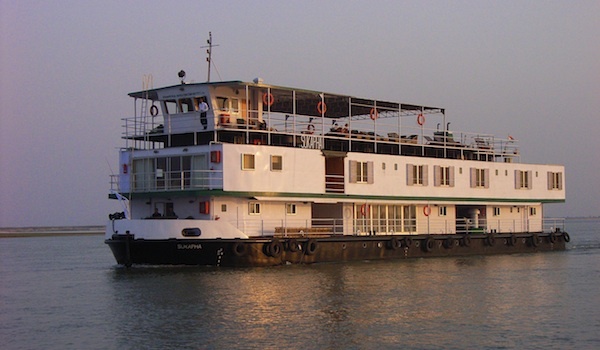 Guests staying with Assam Bengal Navigation kill two birds with one stone: not only do they enjoy prime, waterfront rooms, but they travel in style at the same time. Trawling the scenic, languorous rivers that lead from Calcutta in West Bengal up to Varanasi in Uttar Pradesh, these boats provide a unique window into life in this part of the country. The renovated fleet of ships offer approximately 12 cabins apiece, to ensure a tranquil and comfortable journey. Easily accessible from Mumbai and Pune yet offering a private experience in rolling green hills, the Hilton Shillim Estate is perfect for visitors seeking a touch of peace and quiet. Spanning over 320 acres, the hotel features spacious villas, as well as an acclaimed on-site spa with a menu of 150+ treatments. Set overlooking bamboo fields and offering poolside champagne and butler service, it’s the very picture of luxury. The Ultimate Travelling Camp, which is classed as the first truly nomadic hotel in all of India, is one of our favourite places to stay for 2014. Its mobility allows the camp to bring guests into the wild and remote heart of India to the rugged Himalayan foothills. 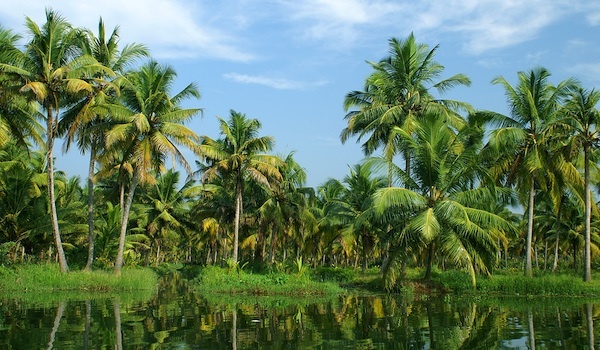 A new schedule for 2014 provides visitors with a number of opportunities to book a unique Indian escape. 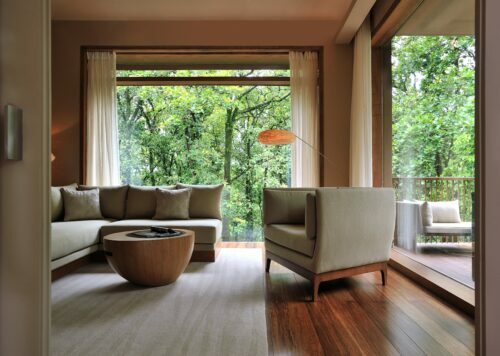 The environmental and wellness-oriented hotel group CGH Earth recently unveiled its latest property, the Kalari Rasayana. Located near the southern tip of Kerala, the retreat is ideal for those looking to slow down and drink in the incredible local landscape. Specialising in Ayurveda, the retreat offers 22 suites in a waterfront coconut grove. Note that minimum stays are two weeks long, though the time is recommended to make the most of the hotel’s spa, meditation, yoga, pool yoga, and walks. The scenery surrounding the Khyber Himalayan Resort & Spa in Kashmir is arguably some of the world’s most beautiful. Framed by the snow-capped peaks of the Pir Panjal range, the resort offers simply incredible views. Across 80 rooms and four private cottages, guests can take advantage of plush furnishings, four on-site restaurants, and an Ayurvedic spa.